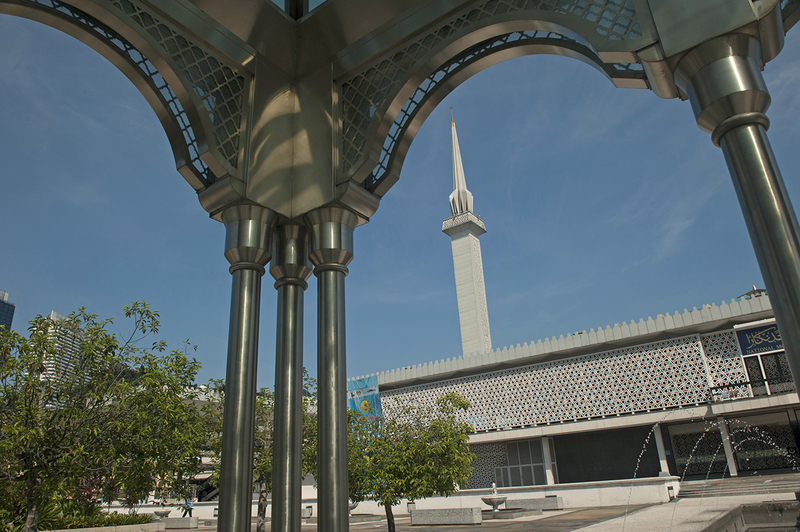 Admire the artistry and spirituality of National Mosque (Masjid Negara), a center of Islamic life in the country. Completed in 1965, the mosque's 73 m (240 ft) minaret and 16-point star roof display modern and dynamic design principles, creating a striking focal point among well-maintained, sprawling gardens. With a capacity of 15,000 people, the scale of the interior impresses, and the simplicity of the design helps to create a calm, soothing atmosphere. Onsite volunteers can provide information and help answer any questions. Appropriate attire is required, but you can borrow it at the entrance if necessary. Note that the mosque welcomes visitors of all nations and faiths, but visiting times for non-Muslims are specific, so check the website to confirm before you go. 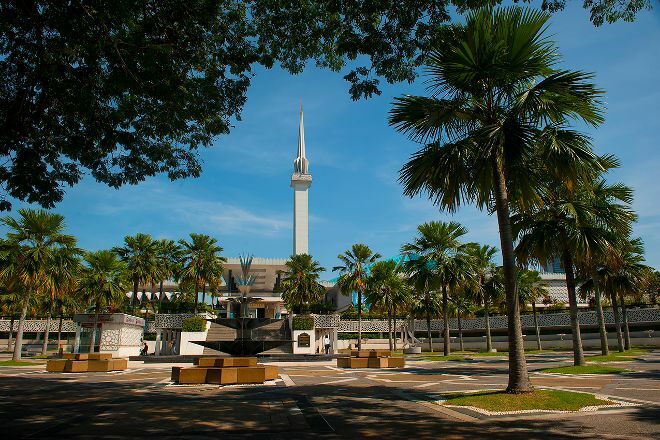 Plan to visit National Mosque (Masjid Negara) and other customer-reviewed, writer-recommended Kuala Lumpur attractions using our Kuala Lumpur online visit planner . Beautiful and HUGE mosque, however the fountains were all empty of water. Furthermore the wall clocks weren't working and some of the taps in the ablution area also seem to have been malfunctioning. But I was really amazed by the size of the mosque and the beautiful architecture it possessed. Also had praying and ablution areas for the ladies. Beautiful mosque. 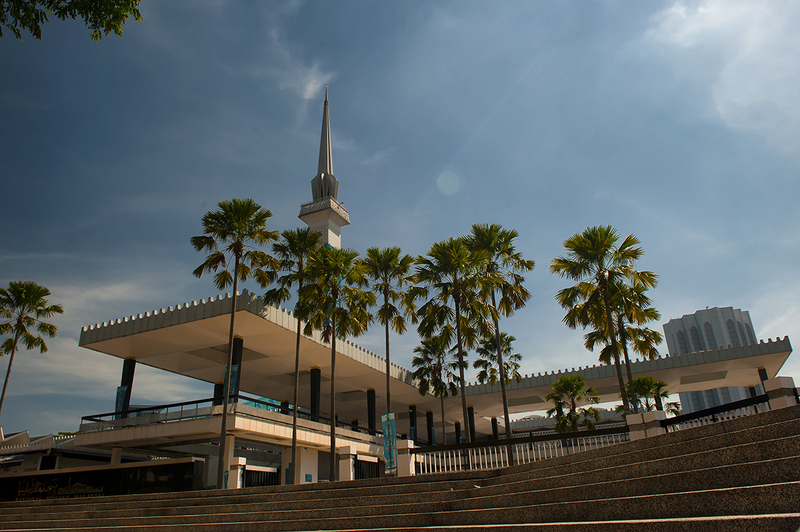 It's called the national mosque but the locals call is Negara mosque. It's beautiful architecture, its. Mostly open space. Free to enter, remember to remove your shoes, take them with you so you can leave via another exit. Robes are provided for free. You can't enter the main prayer hall unless you want to pray (Muslims). Worth a visit.